Paleontologists from North Carolina State University and the North Carolina Museum of Natural Sciences recovered parts of Carnufex’s skull, spine and upper forelimb from the Pekin Formation in Chatham County, North Carolina. Because the skull of Carnufex was preserved in pieces, it was difficult to visualize what the complete skull would have looked like in life. 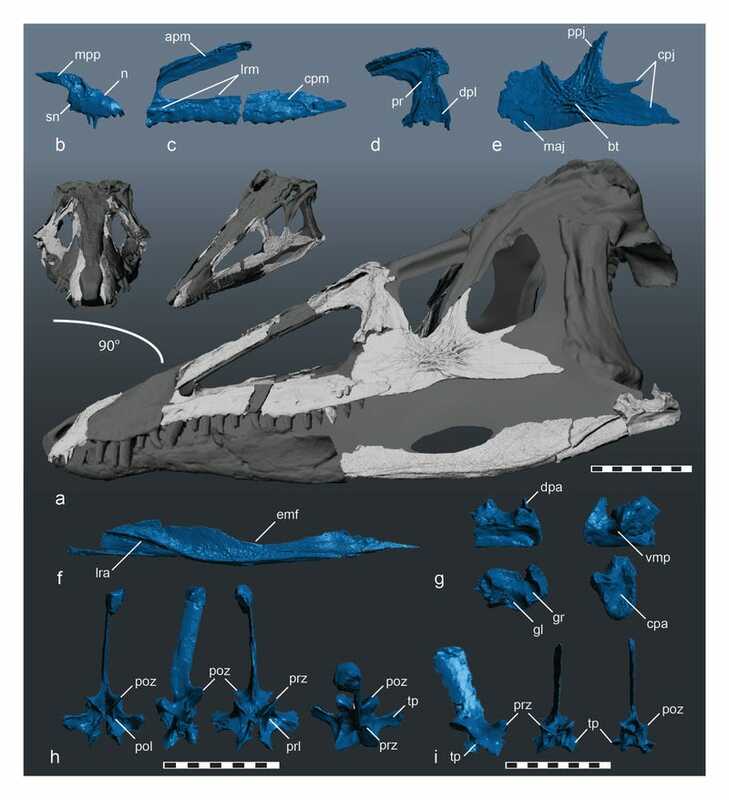 To get a fuller picture of Carnufex’s skull the researchers scanned the individual bones with the latest imaging technology – a high-resolution surface scanner. Then they created a three-dimensional model of the reconstructed skull, using the more complete skulls of close relatives to fill in the missing pieces.